Whisk together the polenta, flour, sugar, baking powder and salt in a large bowl. Then in a separate bowl, whisk together the egg and milk. Pour the wet ingredients into the dry ingredients and stir until combined. Add 4 inches of oil to a large, heavy-bottomed stock pot. Attach the deep-fry thermometer then heat the oil over medium-high heat until the thermometer reaches 180ºC. Dip each Frankfurt in the batter until it’s completely coated, then lower it into the hot oil. 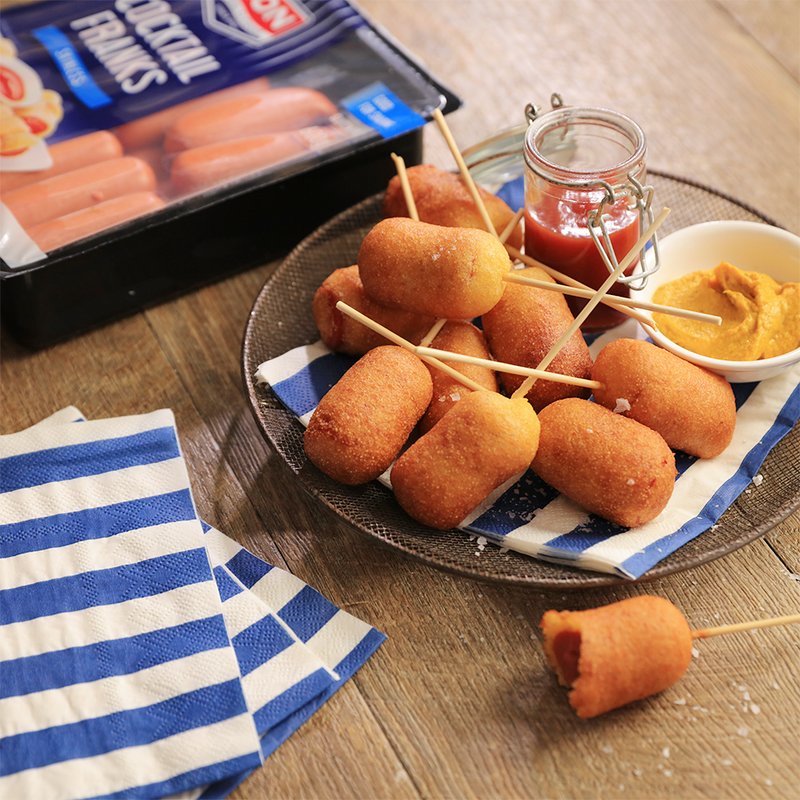 Fry the corn dog for 3 minutes or until golden and crispy. Transfer it to the paper towel-lined plate. Repeat the breading and frying process with the remaining frankfurts. Serve immediately with tomato sauce and mustard.